MFG Patent Attorneys are looking for a committed patent attorney candidate – for example, a prospective patent attorney who is currently studying or serving the year at a patent office. Are you interested in information technology and do you enjoy learning about new technologies? Can you articulate precisely in German and English and are looking forward to an intensive and extensive training as a patent attorney? If yes, then you can further develop your skills at MFG in and with a friendly team. Our clients are international corporations, medium-sized companies and international law firms. We offer interesting, versatile and demanding activities in all IP areas (patents, trademarks, design), with the acquisition as well as the enforcement and defense of intellectual property rights. 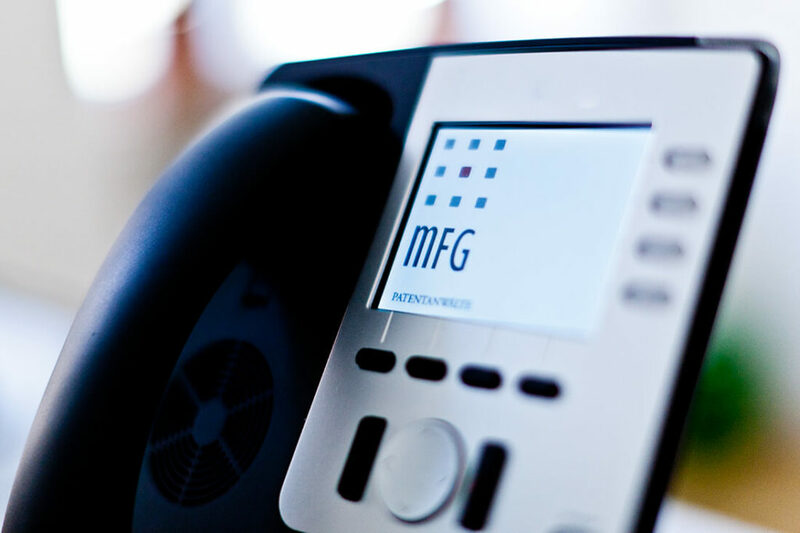 MFG offers flexible working hours in a state-of-the-art office at the heart of the lively University area and close to the Siegestor Arch and subway station “Universität”. If you are interested, please contact us. We look forward to hearing from you and receiving your application documents, which you can also send by e-mail. MFG Patent Attorneys are looking for a committed specialist with paralegal competence for the processing of incoming mail including the recording of deadlines and if possible with PatOrg experience and a good command of English – also invited to apply are recent graduates who have completed training. Part-time positions available. As a friendly team, we offer flexible working hours with an attractive compensation package and work in a modern equipped office at the heart of the lively University area and close to the Siegestor Arch and subway station “Universität”. Our clients are international corporations, medium-sized companies and international law firms. We offer interesting and versatile activities in all IP areas (patents, trademarks, design). We will advise you both critically and creatively, in order to define, protect and enforce your intellectual property. While doing so, we will not only consider legal and technical aspects but also the significant economic and financial consequences and protect you from unexpected costs. Please get in touch with us – we look forward to hearing from you.